A beautiful chrome clip with Autism Support Ribbon made for Euro pens. Create the ideal gift for the true sportsman by adding one of our unique bass clips to your pen. Beautiful chrome pen clip with Pink Breast Cancer awareness ribbon. Cross 24K gold clip, suitable for fancy pen, comfort pen and slimline pen! Create the ideal gift for the true sportsman by adding one of our unique deer clips to your pen. 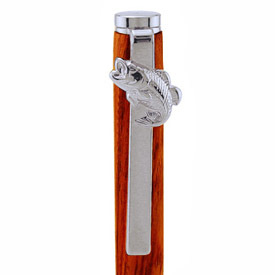 Fancy pen clip, will fit all slimline and comfort pen / pencil kits.